[in B Minor] that resonates deeply. 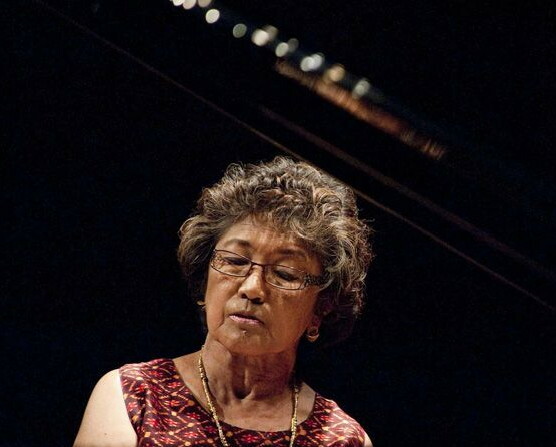 Philippine-born VICTORIA BRAGIN was the first woman and, so far, the only woman to win first prize in the Van Cliburn International Piano Competition for Outstanding Amateurs, a competition for pianists 35 years or older who do not earn their principal living from piano performance or piano teaching. In this first competition that she'd ever entered at the time (2002), Bragin also won the Audience Award and the awards for Best Performance of a Work from the Romantic Era and Best Performance of a Modern Work. She was also a prize winner in the Chicago Amateur Piano Competition, the International Fryderyk Chopin Competition for Amateur Pianists in Warsaw, and the International Amateur Piano Competion in Berlin. Except for a brief appointment on the piano and music theory faculty at the School of Music of the University of South Carolina, all of Ms. Bragin's professional life has been in science education. She came to the United States as a Fulbright Scholar in physical chemistry at the University of Wisconsin in Madison. She taught pre-college math, chemistry, and physics both in the Philippines and in the US before becoming chemistry professor at Pasadena City College (PCC) in California. She later served a two-year stint as Program Director in the Division of Undergraduate Education of the National Science Foundation in Arlington, Virginia, managing projects involving digital libraries, curriculum development and lab improvements, and advanced technological education, among others.